Marcella J. “Sally” Knepprath, 77, formerly of Cedar Sauk Road in the Town of Saukville died Monday, November 14, 2011 at Harbor Haven Health and Rehabilitation Center in Fond du Lac where she had resided for the last two years. 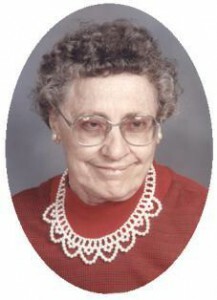 She was born on February 1, 1934 in Dacada, town of Holland, daughter of William and Rose Kraus Knepprath. She attended St. Nicholas Catholic School in Dacada and Random Lake High School. She had worked for the Allen Edmonds Shoe Mfg. Company in Lake Church when she was young. In the mid-1960’s she moved to Fredonia.Later she lived with her brother Clarence, providing care for him and their parents. She is survived by her sister Marion (the late Gene) Schmidt of Sheboygan Falls, brothers Edwin (Marion) Knepprath of Sheboygan Falls, William Jr. (Loretta) and Clarence Knepprath, both of Saukville, sister-in-law Carol (the late Robert) Knepprath of Adell, nieces, nephews, other relatives and friends. She is preceded in death by her parents, a niece Joanne Knepprath and a nephew Michael Knepprath. Her Funeral Mass of Christian Burial will be celebrated at 11AM Thursday, Nov. 17 at Immaculate Conception Church, 145 Church St., Saukville. Reverend Thomas Lijewski will be the celebrant. Interment in St. Mary’s Cemetery in Saukville. Visitation will be held from 9:30-11AM Thursday AT CHURCH. Memorials to the Monastery of the Poor Clares, 1175 N 300 W, Kokomo, IN 46901 appreciated.